Home Blog Why Learn French? Maybe you’re considering learning a new language. Maybe you’re even toying with the idea of French. In any event, you might be wondering why you should learn French, or how you would even start. The truth is that there are a bunch of reasons to learn French, and even if you live in the US, there are lots of ways to learn French. With nearly 2 million native speakers, French is the fourth-most spoken language in the United States, and there are over 220 million native speakers of French globally. Additionally, if you’re living in the US, you might be surprised to know that French is an integral part of US history. French has been spoken in the US for longer than English, and with all the native French speakers in the United States, there are lots of ways to learn French. Interested in immersion? It’s one of the best ways to learn French, right? Well, you don’t have to leave the US if you’re interested in immersion in French. All of this is just barely scratching the surface, so let’s dig into the top 12 reasons to learn French. In the United States, with a population of around 300M people, over 2M speak French. It is the second most widely-taught language in American schools and is crucial in scientific, literary and international fields. Whether you are dealing with sales prospects, current customers or colleagues, those are a lot of reasons to learn French. Remember how we said that there are over 220M French speakers worldwide? Well, by 2050, that number is expected to rise to over 750M. That’s a lot of growth in French speakers, so if you’re looking to secure your future job prospects, there are a lot of reasons (and a lot of ways) to learn French. French is the official language of 29 countries across five continents – and that list doesn’t even include the United States, where French is not an official language. Our neighbor, Canada, boasts French as an official language, and globally French is used as an official language of the EU and United Nations. As one of the most popular languages in the world, learning French allows you to connect with a network of new people. Did we mention that French is spoken in 29 countries across five continents? If you’re a student, speaking French means that you can study in a bunch of countries all around the world. That’s a lot of different geographies, a bunch of culture, and a ton of frequent flier miles. It’s also a great way to differentiate yourself from an academic perspective. If you read the blurb above, all those opportunities apply to you if you’re already in the work force. French-speaking countries include developing and fully-developed economies, and the highly-global nature of the language allows for a number of possibilities in the working world. That’s a lot of opportunity! You may not be aware, but there are literally dozens of French television networks in the United States, and there are hundreds of radio stations. This is all separate and apart from web sites, streaming media outlets and print publications. That’s a lot of TV shows, movies, songs and talk shows you’re missing out on. Have you ever had a chance to catch a film from the era of new wave cinema? If not, then you’re totally missing out! Language is the soul of a nation, and there are over 29 nations that count French as their official state language. That’s a lot of culture to tap into, and a lot of opportunity to expand your horizons. 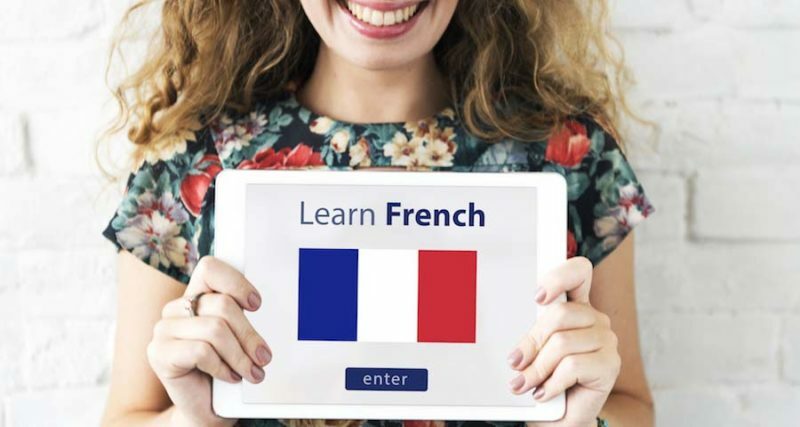 Whether you’re looking to better understand new cultures, connect with local or international history or just looking for personal development and improvement, learning French is a great way to address all of those goals. Stay sharp – at any age! Learning a new language is a cognitive function, and one that’s proven to keep your mind sharp. Did you know that clinical studies have shown that learning a new language can help you delay (or even avoid) ailments like Alzheimer’s or dementia? By the way, that goes for people of any age, so whether you’re a teenager, baby boomer or anyone in between, learning French is a great way to sharpen your mind. Lots of people chose to learn a new language in order to study or work abroad. Others study a new language in order to connect with friends, family or loved ones closer to home. In both cases, access to native speakers is hard to come by in the US. Nothing could be further from the case with French. Like we mentioned before, there are over 2M speakers of French in the United States. What better way to connect with people in your community than to speak their native tongue? You may have noticed that we’ve never referred to French as a “foreign language”. That’s because French is as “native” to the United States as English- even more so, depending on your perspective. We’ve all heard of the Pilgrims and the lost colony of Ronoke, but French was one of the first languages of the first permanent European settlers in North America. Jacques Cartier was one of the first French settlers to explore North America, and his founding of New France established a legacy of French in the continent and country that still exists today. From Louisiana to Missouri to Michigan, French has been in the United States for as long as European settlers have been here. French may be the language of romance, but love is blind to ethnicity or language. Even if you’ve only been skimming everything on this page, you’ve probably picked up on the fact that French is spoken by 2M of the US population. We’ve all heard how hard it is to find a good man or woman, so why limit yourself even further? With just a few exceptions, English and French share a common alphabet, and somewhere between 20% – 25% of English and French vocabulary words are shared in common. Sentence structure and grammar are remarkably similar in both languages, so if you can already speak English, learning French should be pretty easy. More so, it’s a ton of fun. Have you read all the different reasons to learn French above? Travel opportunities, culture, French media, romance… that all sounds like a ton of fun!